Start taking classes at Prime Cycle and other studios! A 45 minute Prime Method ride which focuses on choreographed riding and weight resistance training. While pushing yourself to the limit, you will find the pursuit of happiness with Karlene's energy and motivation. There are no upcoming “Relentless Ride” classes on this day. Please arrive 15 mins prior to class start time to give yourself time to check in. Lockers are included for each rider and are equipped with a digital keypad. Instructions on how to lock-up your personal belongings are posted inside the locker room, or feel free to ask the front desk for help. Both Prime Cycle studios provide individual bathrooms being equipped with fully stocked showers. SPD capable cycle shoes are required. You can bring your own or rent during check-in for $2. 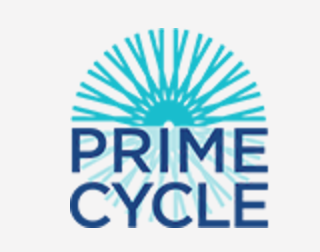 Prime Cycle provides a water dispenser or bottles for purchase. Located conveniently in two Hoboken locations. The Maxwell Place development in Uptown Hoboken at 1025 Maxwell Place is close to the NY Waterway Ferry and the 126 NJ Transit Bus stop on 11th St and Washington. Our downtown location on 70 Hudson St., is just steps from the NJ PATH station. Prime Cycle invites you to see for yourself what makes us different from the traditional cycling studios. It is time to commit yourself to the Push, Pedal and Power of Prime Cycle. Amazing music!!! Best class I’ve ever been to. She is amazing! Thanks for the feedback! We have 2, 3 and 5 pound weights! They are located on a weight holder to the right of our studio door. We look forward to having you in class again! Karlene is so encouraging! Good way to wake up on hump day. microphone was way too loud. and instructor calls you out if you're too fast or too slow for her pace. Great energy but it wasn’t super structured until the last 10 minutes. A little all over the place. Karlene always has a great level of energy and puts together a thoughtful, exciting, and motivating class. The changes in pace are challenging but you definitely feel like you’re making the most of the 45 minutes! Karlene keeps it fun while working you hard.